On the weekend of January 19-20, throughout the Diocese of Rockford Catholics will be invited to contribute to the National Appeal, our first combined collection of 2019. I ask you to prayerfully consider contributing to the work of the Catholic Church through these established efforts to share the faith here in the United States. For example, by means of this collection we are able to strengthen and ensure the continuing good work of the Catholic University of America as it prepares students to respond to the many issues facing the Church and society today. Every dollar given directly supports financial aid for students from dioceses across the country, including ours. This appeal also benefits the Catholic Communications Campaign, which reaches out with the Good News of Christ through many modern communications channels. Of the funds collected for this campaign, one-half will remain here in the diocese to assist our evangelization efforts through local communications projects. Contributions also help retired members of religious orders (men and women) who have long served the Church with their lives of prayer and service. There is also an opportunity to contribute to the pension funds supporting our retired diocesan priests who have served us faithfully through the years. Additionally this appeal gives us an opportunity to provide support to our financially-challenged diocesan grade schools, helping them to continue to offer quality education along with religious and moral formation. Please be generous and offer what you can for this annual National Appeal collection on the weekend of January 19-20, and help promote the Gospel through these worthy causes. This annual appeal benefits 31,000 elderly Catholic sisters, brothers, and religious order priests—women and men who have consecrated their lives to serving God and the Church. Many religious communities struggle to provide for aging members. Most elder religious served for small stipends, leaving a large gap in retirement savings. Rising health-care costs and decreased income compound the struggle to provide adequate care. Your gift to the Retirement Fund for Religious provides vital funding for medications, nursing care, and more. It also helps religious congregations implement long-range retirement strategies, even as they continue to serve the People of God. With your help, the Diocese distributed $118,332. The Catholic University of America in Washington, D.C. was established in 1887. The University has served the Church, students and the community for generations. CUA offers nearly 7,000 students per year an exceptional Catholic education in a faith-filled atmosphere that is grounded in the Catholic intellectual tradition. Every dollar given directly supports financial aid for students from dioceses across the country, including ours. With your help, the Diocese distributed $6,650. The Collection for the Catholic Campaign for Human Development (CCHD) works to uphold the dignity of human life by breaking the cycle of poverty across the United States through grants to local community- based groups who create jobs, improve education, and strengthen neighborhoods. Twenty-five percent of the CCHD collection stays in the Diocese to fund local anti-poverty projects. With your help, the Diocese distributed $17,353. Through Internet, television, radio or newspapers, the Catholic Church uses all technologies, old and new, to spread the Gospel message. The Catholic Communication Campaign (CCC) supports Catholic media projects in our Diocese and all over the United States. With your help, the Diocese distributed $113,454. To ensure that we maintain the opportunity for parents to enroll their children in the excellent Catholic elementary schools within our Diocese, we have created a special way for you to assist the Diocese of Rockford to support schools that have operating deficits and need your help to become financially viable. Your support through prayer and donations will help our underprivileged schools continue to provide a quality education along with religious and moral formation. Thanks to your generous gifts, we gave $76,419 to needy schools in our Diocese this year! Our priests devote their lives to bringing people closer to Christ, and in retirement, our priests continue to serve as spiritual leaders, counselors, ministers to the sick and much more. With gratitude for their years of faithful ministry, the Diocese has a Priests’ Pension to support our 53 currently retired priests and those that will retire in the future. Reverend Monsignor Robert J. Willhite has served our Diocese for more than 55 years and continues assisting pastors in celebrating the sacraments in parishes during his retirement. 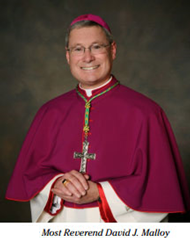 We thank you, Monsignor Willhite, and all our priests for your continued faithful service in retirement. Last year, the faithful of our Diocese contributed $121,173.